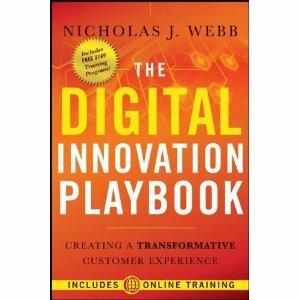 o How does the digital universe is driving the most innovative organizations? o How do you increase breakthrough in incremental innovation? o How do you digitize open innovation? o and for all you number crunchers out there, How do you build sales while reducing costs? will be explored and answered. Do you need a digital culture? Yes, most certainly. Corporate culture is the foundation on which you build your organization and your ability to innovate. Webb speaks to the need for active listening – a novel concept to many organizations who pay lip service to ‘customer feedback’ but do not actually listen to what their customers want. Digital technologies can provide a listening platform that will drive profitability and develop an authentic relationship with your customer. Why pay attention? As Peter Drucker so wisely stated “there will be two kinds of managers – those who think in terms of a world economy and those who are unemployed.” Webb gives insights into reaching and listening to that world economy. You choose which manager you wish to be. This entry was posted in consumer psychology, Corporate Culture, Corporate Storytelling, creativity, Design, emotion, innovation, insight, Marketing, Storytelling, trends and tagged BlackBerry PlayBook, Business, Digital Innovation Playbook, innovation, Innovation management, Marketing and Advertising, Nicholas Webb, social media. Bookmark the permalink. Sounds like a really interesting read. . .and right up our company’s alley. . .as digital merchandisers. I’ll be sure to put it on my reading list! I think you will enjoy it! Please let me know what you think.